The Reichstag is Germany´s parliament building. These mirrors divert the sunlight to the plenary room below. 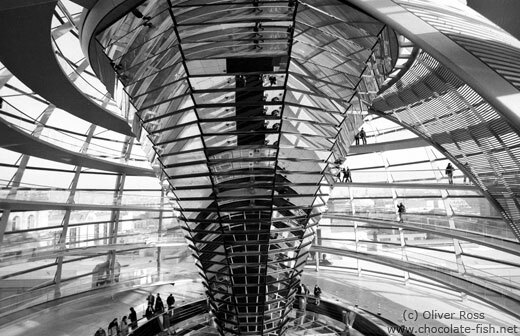 More pictures of the Reichstag in colour can be found in the colour gallery.